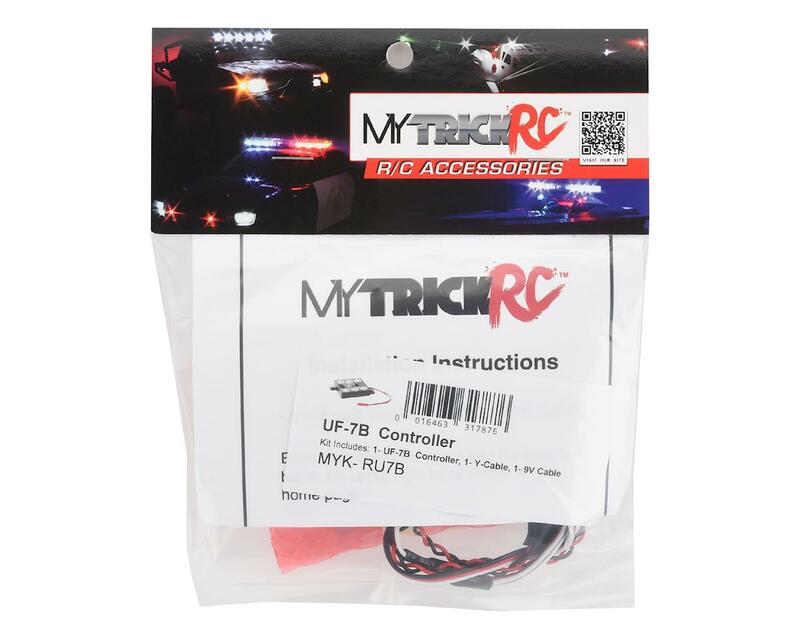 The MyTrickRC UF-7B Light Controller is a clever plug-and-play system that features 13 lighting modes and is perfect for any Off road Truck, Emergency Vehicle, Rock Crawler, Car, Airplane, Boat, Trailers, Scale Prop Lighting or any other hobby project. It is powered from either a 9V battery or the vehicle’s receiver. The UF-7B RC Lighting Controller is Amazingly Versatile. Weather your Building a Drift Car, Street Car, or Off Road Truck your vehicle will look more scale and eye catching than ever, with the Customized UF-7B RC Lighting Package. 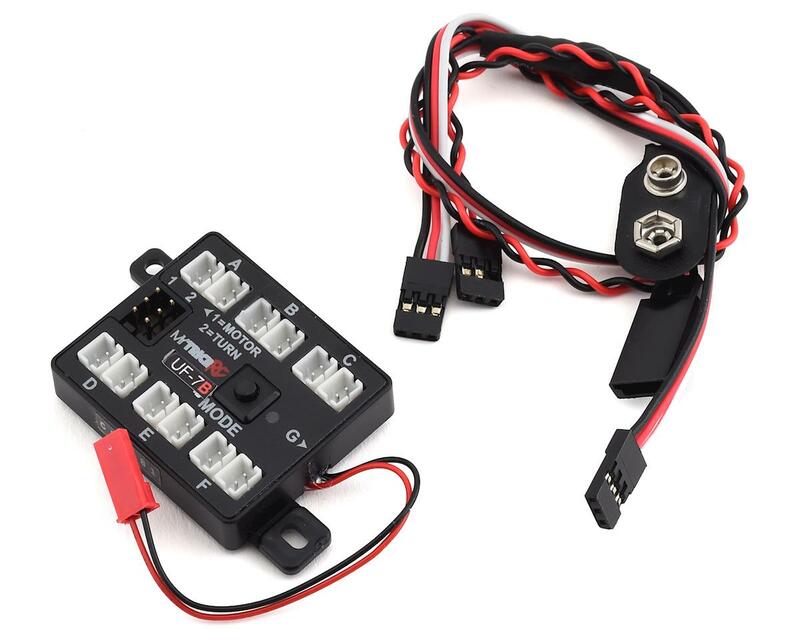 Whether your building 1/16th scale, 1/10th scale or 1/5th scale, this light controller is a great way to customize your cars, trucks, airplanes, boats. Expandable – Add one or More LEDs and connect a second UF-7B Controller together to to get more LEDs and functions. By Daisy Chaining Controllers, you can get Two Different Modes running at the same time and get more functions. Top Quality Construction and Rugged Design means Your Fun Lasts Longer.